We know what’s on your mind when you read the title of this article: You must be thinking about the requirement (or requirements?) in studying in Australia. No, it’s not. In fact, it’s something deeper and more complex than that. It should even interest you if you are thinking of migrating to Australia. So, what is an Australian study requirement? How important is it to your cause as a future immigrant in the country? What benefits can you derive from it? Australian study requirement (ASR, for short) can be one of the more complicated topics to explain concerning Australian migration. The rules, requirements, and mechanics here prove confusing especially to the uninitiated. This article will try as much as it can to explain it to you in simpler and more understandable terms. To start off, it is more meaningful and understandable to discuss ASR alongside the concept of General Skilled Migration and Graduate Temporary Subclass 485 Visa. These are the visas that are immediately impacted upon your completion of the study requirement. You will earn extra points. You very well know that points are such a big help in your quest for an Australian visa, especially the coveted points-based General Skilled Migration (GSM) visas such as Skilled Independent visa (subclass 189), Skilled-Nominated visa (subclass 190) or Skilled-Nominated or Sponsored (Provisional) visa (subclass 489). You stand to earn five points if you comply with the two-year study requirement (we will discuss in greater detail this two-year study requirement in a bit); another five points are up for grabs if you meet the two years of study in a regional area in the country. Still another five points can be added to your qualifications if you finish a professional course in Australia. Aside from its value for GSM visa applications, it is equally helpful if you are a student. You can be qualified to apply for a Graduate Temporary Visa subclass 485. This visa type is as coveted as the GSM visas as it grants you full work rights in the country. On top of that, you will earn more points while working here. It helps boost your chances for success as far as visa application is concerned. Needless to say, qualifications from an Australian institution are given more weight than those from other sources. You must finish a degree, a diploma, an advanced diploma or a trade qualification. Masters courses, graduate diplomas and Ph.D.’s are counted as degrees, so they can be considered for the ASR. The course you complete must be on the list of approved courses for international students. The government has a term for this list. It’s called Commonwealth Register of Institutions and Courses for Overseas Students or CRICOS. It goes without saying that if the course you’re going to take here is not included in CRICOS, such course cannot help your need for more points and, as such, qualifications. The course must be undertaken in an Australian institution in Australia. This requirement is emphasized because it can happen that you complete a course in an Australian school without necessarily being in Australia. Examples of this scenario include cases where you study in an Australian school whose campus is outside of the country or if you enroll in a correspondence course of an Australian educational institution while you are in a foreign country. In cases like these, your course cannot be used to satisfy the Australian study requirement. The key here is: You must be physically present in the country. This rule is not etched in stone, though. There are ways and means when this could be overturned or skirted. For information on how to do it, we encourage you to keep in touch with a migration consultant at Nowak Migration. English should be the medium of instruction. In the parlance of the Commonwealth government, two academic years is defined as consisting of at least 92 weeks. This does not mean, however, that you have to spend the whole time studying full-time to comply with the requirement. The length of time that you spend studying is immaterial here, rather what’s important is the amount of study that you’ve done. Therefore, it’s okay if it will take you longer than the 92 weeks to finish your studies. There’s no limit upwards as to how long you can complete your chosen course. But if you study 100 weeks for a course that’s listed in CRICOS for only, say, 78 weeks, you only get credit for 78 weeks. On the other hand, if you choose to fast-track the completion of your studies, you should complete it in not less than 16 calendar months. Your studies must be in compliance with the conditions of the type of student visa that you are holding, otherwise, your effort will be put to naught. After successfully completing your course, now comes the time to lodge your application for another type of visa. Get ready with the required documents. As we said earlier, Australian study requirement is one of the tricky topics to discuss and much more complicated to do. Should you choose to do it on your own, we are afraid you might get stuck somewhere — if you are able to start at all. 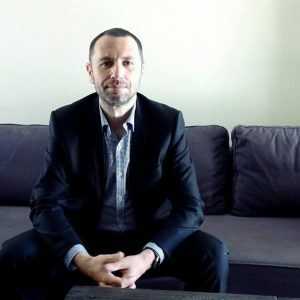 Needless to say, you will really need the advice and assistance of an industry expert to push the needle if you choose this factor to buttress up your qualifications towards the acquisition of one of the much-sought-after General Skilled Migration visas or of a Graduate Temporary Visa subclass 485. In all modesty, our very own company – Nowak Migration – boasts of a record of success in this particular area of visa processing and assistance. The number of applicants that we have helped acquire student visas to study CRICOS-listed courses here is too many to count. And after they have completed their studies, we arrange for their working or skilled visa in Australia paving many of them to acquire permanent residency in the land of opportunities. True, you’ll never have to worry about these concerns and everything in between because your trusted migration agency will get things sorted out for you. We will be with you from the first base — and first base for us refers to choosing your course. We said in the early part of this article that you cannot just choose any course to study. It has to be registered with CRICOS. We will discuss it with you. From there, we will help you obtain a confirmation of enrolment (COE). This is an official document issued by colleges and universities in Australia to international students like you. We could not emphasize more strongly the importance of a COE as this is required by the Department of Immigration and Border Protection (DIBP) for the issuance of your student visa. We may even help you facilitate the payment of your tuition fees and Overseas Student Health Cover (OSHC). You need to comply with these requisites before a COE is issued. Have you a problem with accommodation? Leave that to us. We are in constant touch with real estate agents and brokers for this purpose. We can show you a range of accommodation to choose from depending on your budget, needs, and preferences. We can even arrange for your transportation from the airport to your address here. We very well understand your concern in going from one place to the other in such a huge place as Australia, especially if you are a first timer here. Is there anything more than you need? Just say it and we will provide it to you. That’s how thorough we are in looking after the welfare, comfort, and convenience of our clients. We cannot be called a full-service migration firm for nothing. And we firmly stand by it. So what are you waiting for? Book us now for a consultation. Our hotline is (07) 3668 0658. In the meantime, please like us on Facebook and follow us on YouTube. We will also appreciate it if you help us share this article your friends and family. 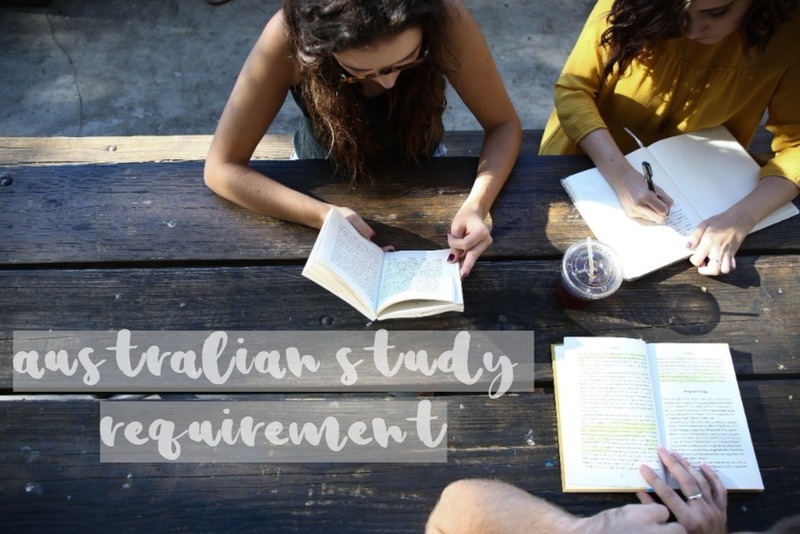 Australian study requirement 🤔 This is a quite interesting topic - studying in Australia will give you an advantage 👏when applying for points based visas. It may give you few additional points. It is also a direct path to a graduate temporary visa subclass 485, but ... there are some rules you must follow. Keep reading if you want to know more.